Implementation of EMR is not part of the Affordable Care Act. Though President Obama is a major supporter of the EMR, implementation planning began under his predecessor, President Bush. 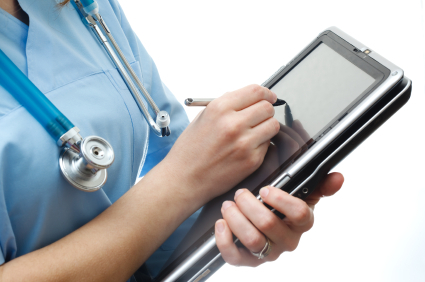 The benefits of an EHR are many. They included storing all patient information including scans and images. This allows physicians to see a more complete picture of the patient than from a paper record or chart abstract. EMRs are able to make data available instantly making it even more valuable to patient care. Of equal importance is the ability of EMR systems to automate and streamline the collection of patient data and collate it – trends and outbreaks spotted, outcomes analyzed and help to make better patient care decisions. The majority of health services provided to underserved areas are from Federally Qualified Health Centers (FQHC). Centers comprise community health centers, health care for the homeless, migrant health centers and public housing primary care programs. Other major providers in underserved areas are physicians in small and solo practices, volunteer clinics (free), and critical access hospitals. Fifteen years ago the availability of the Internet to the populations of FQHCs, today 50 percent of the rural population has Internet Access and with cell phones and hand-held devices that number is increasing quickly. This means that even those who are part of a population deemed medically underserved are gaining access to the technology needed to access their health records so that “meaningful use can be established by providers.” Previously, if meaningful use were unproven, incentive payments to providers were unpaid. In 1998, the Institute of Medicine initiated the Quality of Health Care in America project. The purpose of the project was to improve the quality of medical care in the United States within 10 years. One target area was to reduce adverse events in hospitals. Nearly 4 percent of hospital admissions suffered an adverse event. Prior studies found that nearly 60 percent of these events, nearly 37 million, were preventable. Estimates were that between 50,000 and 100,000 people dies from hospital adverse events each year. The project concluded that implementing EHRs would save lives by alerting caregivers to medication errors, but save money as well by avoiding duplicate testing. Nearly 30 billion dollars is the estimated cost of adverse hospital effects. Certainly, facilities in underserved medical areas could use the safeguards to improve patient care as well as help to lower costs through EMR implementation. Interoperable medical records in MUAs lead to better continuity of care. Documentation is clear and easy to read. Turnover of providers is high in an MUA, clear concise charts with text notes are easy to read and understand, – this expedites care of patients. Identification and notification of trends that are potential outbreaks of infectious disease are far more rapid with EMR and their reporting functions. MUAs can access needed resources more quickly when the public health is threatened. In the past there were two barriers to rural providers, primary care givers and hospitals, to implement EMR. The first was that physicians faced difficult challenges in meeting “meaningful use” criteria when patients were unable to access the Internet. As noted earlier, this problem is diminishing as more way to reach the Internet become available and affordable. The total cost of ownership, not just acquisition costs form the basis of evaluating an EMR solution. With better outcomes and better patient safety, fewer duplicate tests and warnings about potential errors, the actual cost of ownership is less that the acquisition cost. Once you add in incentive payments from the federal government, systems that facilities thought to be out of reach are very affordable. Incentive payments and grants for MUA further defray the costs. Time is short. Financial incentives start phasing out in 2014. Call RevenueXL today at 888-461-9998 or 408-625-7254 to learn how an EMR can help your facility in a MUA at a cost you can afford.